Data Base: Compatible with SQL Server 2000 and above. Add Module To Page: When you add this module on a page for the first time, you will see following info. Please click "manage feed" button, then you will enter "manage feed" page. Add Feed: You can fill multiple Feed here. And you need to fill Feed Name and FeedUrl. Supports ATOM v1.0, Supports ALL RSS Versions. 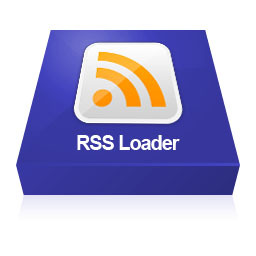 RSS Loader Settings: You can configure Post Number, Caching Length, Display Type and Item Template here. Display As A List: You can configure Display Type to be list type in the module, then it will display in the frontend as below. Display As A Slider: You can configure Display Type to be slider type, then it will display slider effect as below in the frontend. It can allow adding multiple Feed URL,Supports ATOM v1.0, Supports ALL RSS Versions. You can define template of frontend through backend of this module, supported tokens are as below [title] [link] [summary] [description] [author] [category] [comments] [pubDate]. Caching Function, you can configure how many days for cache, it will be one day in default. You can define the maximum number of posts to show. You can display content as slider and configure delay time, width and height. You can display content as list and configure column number and column width.